Madden Industrial Craftsmen is looking to fill a position with a lumber company located in Troutdale, Oregon. The person in this position will be doing millwright maintenance and repair work. If interested, please text your name and the word JOB to 971-470-7175. Kelly joined the Madden Team in April of 2012 as an Administrative Assistant, bringing over 10 years of customer service experience. In 2015, she became a full time recruiter in the Vancouver Office. 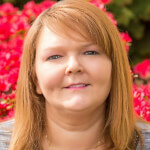 Kelly came to us from the Southwest Washington Humane Society where she oversaw animal advocacy programs requiring great customer service and administrative skills. Kelly is pursuing her degree in Business Management at Clark College while managing an active household of three teenagers. In her free time Kelly enjoys camping and fishing with her family.